An engine has to breathe in to make power. 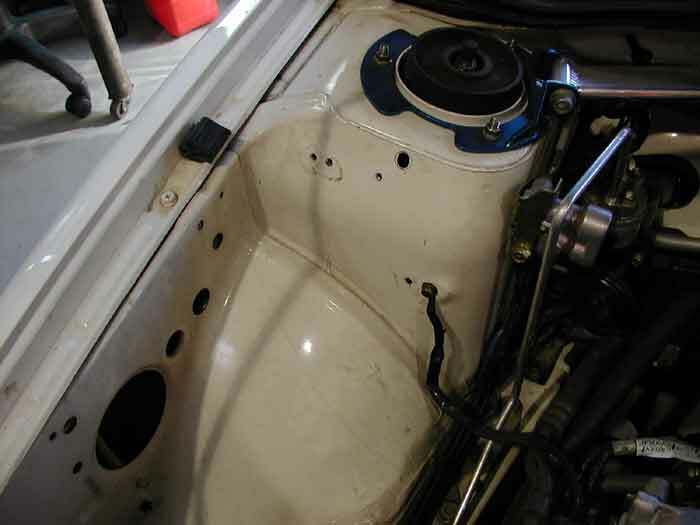 Stock intakes are a compromise between getting in a good amount of air and being unobtrusive to the driver. 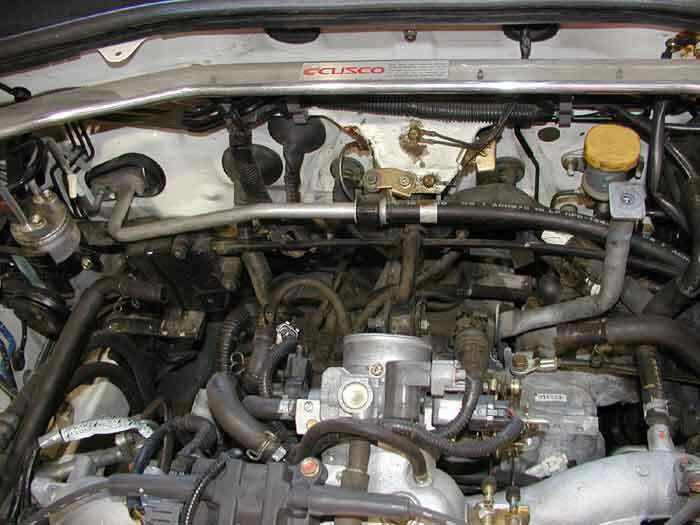 The stock SOHC Legacy EJ25 uses a nice example of this. 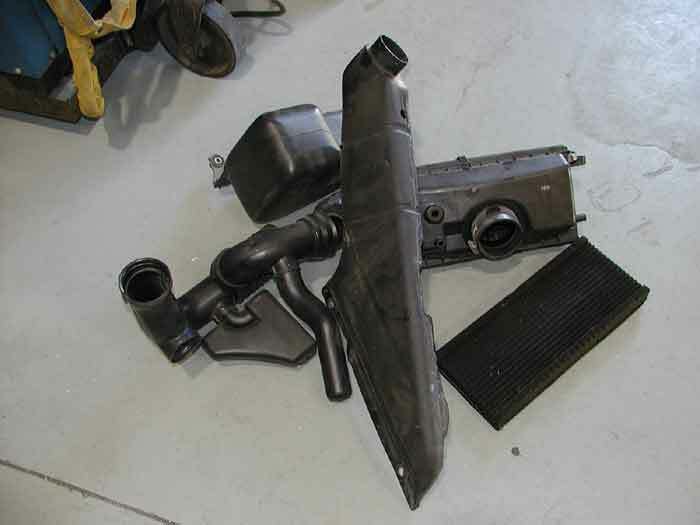 Unlike the previous generations, Subaru designed an intake that pulled cold air from the grille instead of the fender. 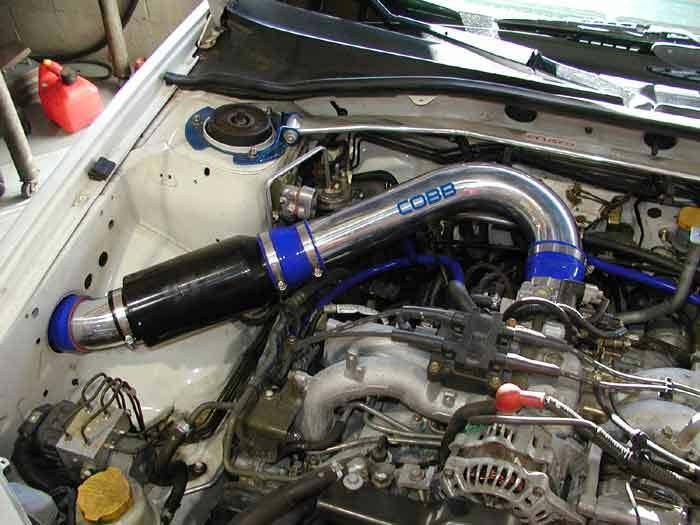 This is the same setup used on the overseas turbo models, but it's no replacement for the actual turbos. It does look pretty cool though, for about 18 inches. Three resonators and some flex-pipe later we get to the filter box, placed right at the throttle body. There are a lot of replacements for this stock system that make power, but have drawbacks. The shorter an intake on a naturally-aspirated car, the more low-end torque it will lose. Air flowing into the engine works better if it's stacked and has a chance to flow. 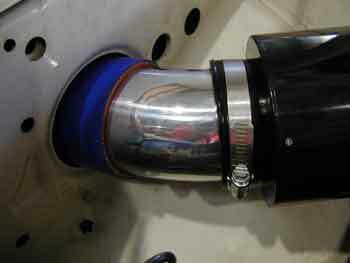 One of the more popular intakes, the Ganzflow, replaces the plumbing before the airbox and uses the stock filter. 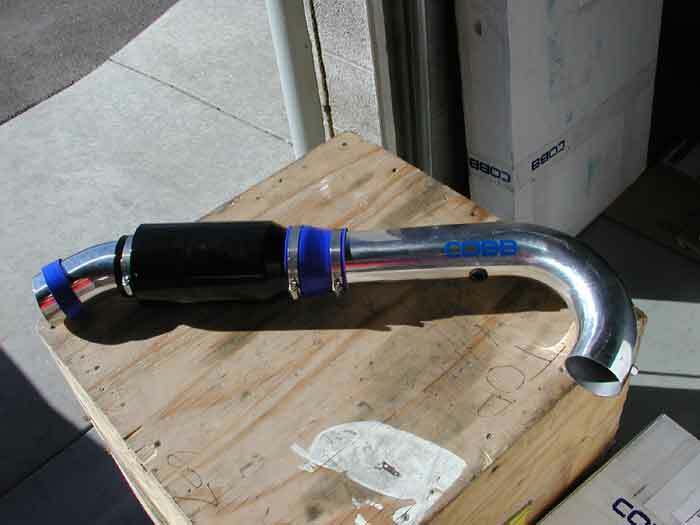 This is a pretty good solution, and is relatively simple, with straight pipes. It doesn't replace the whole system, so it doesn't resolve the clunky, square filter box and funky airflow across the filter and into the manifold. 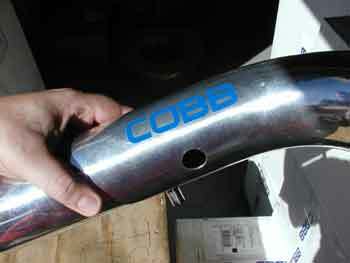 Cobb addressed this by replacing everything and using an inline filter. By doing this, it smooths the intake into one, long stretch with a nice bend down. 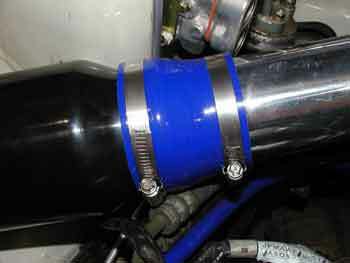 Using a compact inline filter eliminates the messy, bad-flowing airbox. Not only is it easier to get to, but it looks cool and performs better. The long piping going to the fender creates that stack effect, which helps maintain the healthy torque of the stock system. The placement of the air intake in the fender retains the cold air source. Based on a good reputation for performance parts and reviews by NASIOC members, i decided that the Cobb part was the one to get. A week after getting the car i took a trip down to Cobb with every intention to purchase one. Unfortunately, they didn't have any in stock and weren't expecting any for two weeks. A display model was looked into, but apparently included a hole for the IAT sensor, which my year wasn't supposed to have. Oh well, two weeks would give me a better feel for the car's performance and allow for better judgement of any change. Two weeks later i returned, after confirming that they had the parts in. Justin and Noah set one aside for me, and also offered some space in the garage to do an install, if i was so inclined. Since Josh wasn't working on any project at the time, and i wasn't in the way, i accepted the offer and went about tearing into the works. It quickly became apparent that we'd all been wrong about the IAT. My car had the sensor after all, so the two week wait was mostly in vain. Oh well. 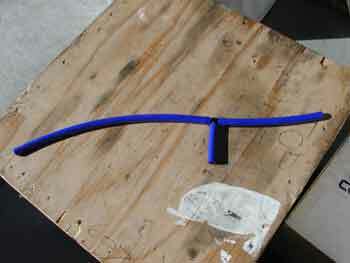 First off was the inlet, followed by the first elbow section and flexpipe. The second elbow went quickly, followed by the rear half of the airbox. Filter removed, i unscrewed the throttle body clamp and removed the rest of the airbox. Finally i took out the first resonator. At this point, i noticed that the two struts that hold the stock airbox wouldn't be used at all. In the case of the passenger-side unit, it looked to be in the direct path of new intake, so it was quickly and easily removed. 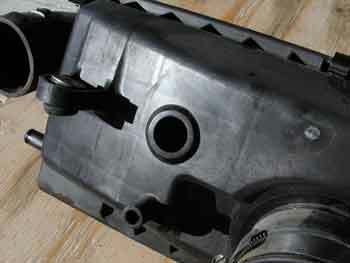 The driver side, however, has two hard-to-get-to bolts lower on the transmission. I don't have small hands, and it seemed that putting the car on a lift would make the operation easier. Another day perhaps. At this point, i noticed that the bracket on the strut tower was not going to be used at all. The only thing connecting to it was a ground from the intake manifold. I proceeded to remove the bracket and mounted the ground in one of the lower bolt holes. Much cleaner. Finally, i reinstalled the bolt that held down the big resonator box. It also secures the bracket that mounts the ABS unit, so it's probably a good thing to have. Ok, time for install. 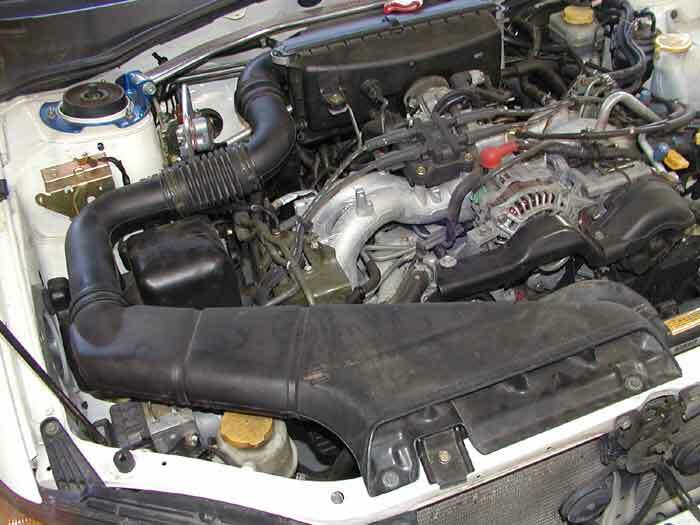 Josh recommended that the throttle body hose be installed first, but that the rest of the intake be assembled and installed as one whole unit. This made sense because of the placement of the inlet in the fender. Also, matching up all of the parts while bending over a car isn't terribly precise. One thing i mistakenly did during the assembly was to put the filter on in the wrong direction. 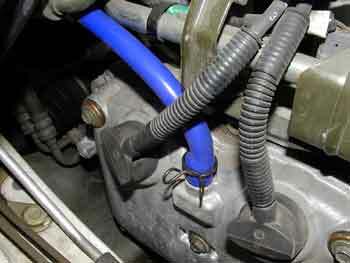 The end with the hose clamp is intended to go on the inlet end, not the manifold end. No big deal. 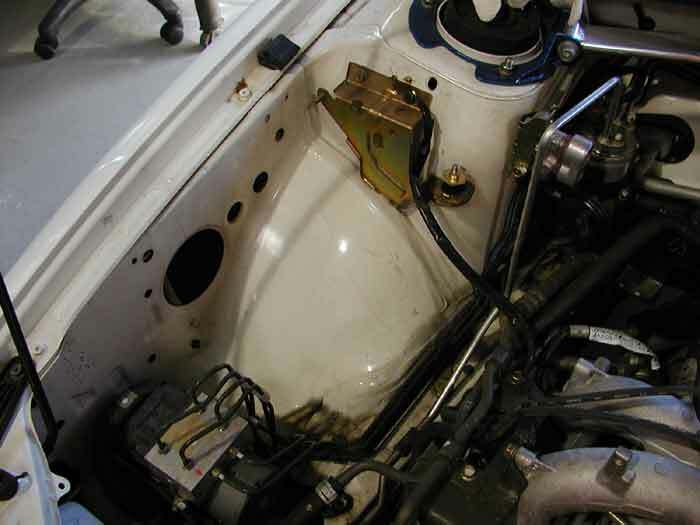 Once everthing was together, Josh and i installed the two valve cover vent lines onto the stock fittings. 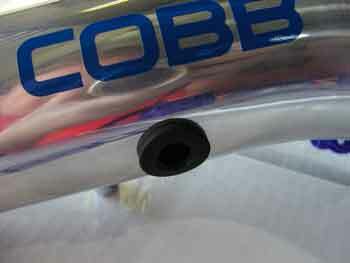 Cobb uses some nice silicone hose for this, which also means it doesn't stretch too easily. This meant that getting the ends on took some effort, but fit on very tightly. At this point we also realized that i had another peculiarity. Normally the PCV hose is rerouted to the intake manifold, but mine had some different tubing. Josh rigged together a T fitting to accomodate both the PCV and valve cover. The last part needed before install was to take the rubber grommet that holds the IAT sensor in place from the stock airbox to the new one. It's a simple operation, just use some force. At this point i just slipped the inlet end into the fender and the other end into the throttle body hose fitting. With a little shimmying, everything fell into place nicely. There was just enough clearance between the AC and power steering lines for the piping to fit. 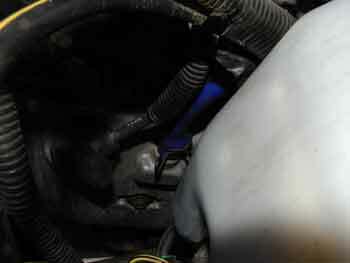 I installed the valve cover lines and IAT sensor, looked it over, then started it up. No problemo. Next up was a test drive. 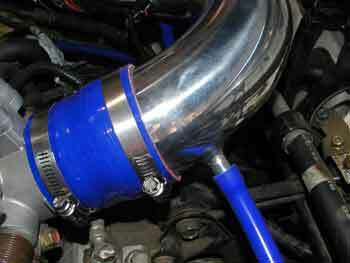 I knew that on load, at higher RPMs, this intake was known to be somewhat loud. It is. Maybe the Legacy is indeed better insulated for sound than the RS, which constitutes a larger percentage of the purchases i'm sure, but i found the sound on the pleasing side of noisy. It really does let you know that the engine is working hard and that you're getting everything it has. I dig it. The best way to test the effects of modifications like this, short of dyno time, is to test them in an environment you're familiar with. Some people have a favorite stretch of road, a point-to-point section of road, like a stoplight to a telephone pole, a freeway onramp or a long uphill pull. On my way home, i was able to test the new part on a couple of these scenarios. The first one is a freeway onram that starts with a stoplight, accelerating left towards an uphill pull onto the freeway. I'd driven this many times with my wagon so i had a relative benchmark. The morning after i purchased the car, i'd taken the same ramp with some less than stellar results. This time i was met with near-Wagon results. I was up to 70 as quick as i remember my Wagon doing it, to my surprise. Wow. The second one was much later in the drive, after getting off I-15. There's a long, 55MPH pull that i normally hold pretty well in the Wagon. In the Wagon, i was also able to dip into the turbo's torque and accelerate in 5th, if needed. The three previous runs at this hill in the Sedan were met with the need to downshift to fourth in order to hold 60, or to run at 65 and use the revs. After the intake i was able to hold 60, and maybe get a tiny bit of acceleration, but nothing worth the extra effort. Cool. Third is what i call the "Canfield Test" At the intersection of a highway and road, there's a stopsign. Accelerating right from the stop sign and judging the amount of space before the next block (Canfield Rd) and the effort expended (WOT or x/10ths) is the basic premise. In the Wagon, this was pretty easy. I could get to 60 with room to spare. Stock intake on, i ran this test at least three times on different days. All of these times, the results were less than the performance of the Wagon, with the car struggling to get to Canfield and reaching 60MPH. The first test after the new intake really, really surprised me. I was within a carlength of there the Wagon would have hit 60. It was so much faster that i simply couldn't believe the difference. Wow. I'm sold on this. It is a very nice piece of work. 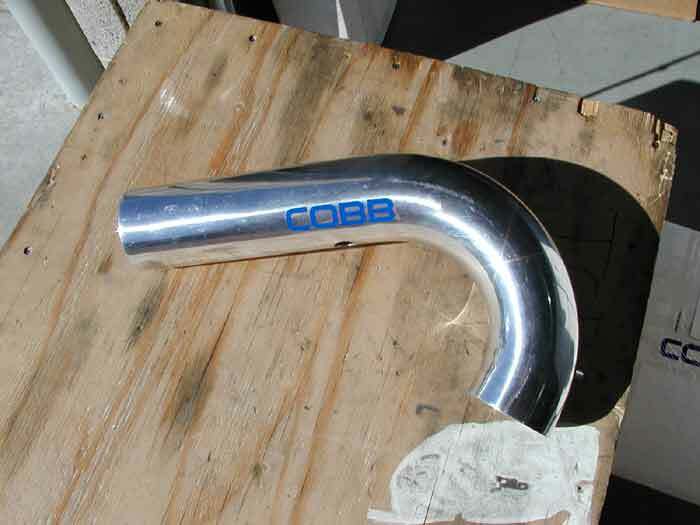 Cobb is known for taking the time to put out some of the best parts available for Subaru cars and this is no exception. The only drawback even worth mentioning is the price, which is higher than most, but a solid investment. Noise can be considered a drawback, but it's a part of the experience and realistically avoidable in average driving. 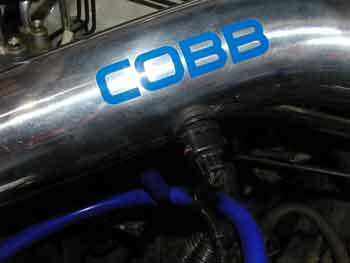 Thanks to the guys at Cobb for giving me some space and helping me install it.